The island of Naxos doesn’t get enough credit for being one of the most beautiful Greek islands, but you won’t hear many visitors questioning its beauty once they see it with their own two eyes. 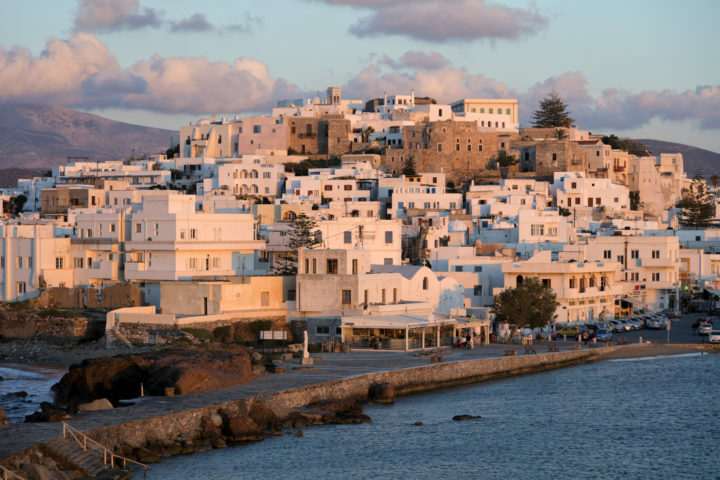 The largest city in Naxos is, of course, the island’s capital, a city by the same name as the island, Naxos — also known as Chora. There are photo opportunities all over the island, but the number one historical site to see is the Portara, which is the doorway to the Temple of Apollo. Here you will find a monument that is over 2,500 years old that overlooks the water. While just being here to see this ancient piece of history is thrilling enough as it is, you should plan your visit around being able to see the sunset. The view of the sunset from the Portara is amazing, and the perfect photo opportunity. 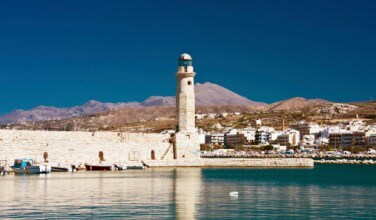 Tell any frequent visitor of Greece that you’re going to visit Naxos, and one of the first things that they will probably recommend that you do is visit Old Town. This might be hard for the organized, strict-schedule types, but Old Town is the perfect place for you to go on your trip with absolutely no plan. Just go. Go and walk the streets, see what shops you end up at, what restaurants, cafes and bars you find yourself at the doorstep of, and wander around looking at all of the quaint architecture. If the weather cooperates, this trip makes for a great day. If you’re into visiting museums, you’ll have to set aside some time to check out the Archaeological Museum. The hallways of this museum are lined with excellently preserved artifacts like pottery, statues and art — which some pieces, surprisingly, aren’t that well protected from the public, but I wouldn’t recommend touching them! 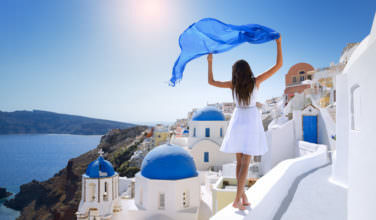 Greece is known for their absolutely gorgeous beaches, but the problem is that everyone knows how gorgeous they are, and this draws large crowds that turn some people away. Well, I’ll let you in on a little secret for those who are visiting Naxos. You’ll want to head on down to Panormos Beach, which is a small, secluded beach that makes up for its size with its amazing appearance. You have to head down a dirt road to find Panormos Beach, but it’s a little piece of heaven once you get there. The water is as blue as the sky, and the environment is extremely relaxing. Like I said, it’s not a mainstream beach that most folks frequent on their vacation, so you will have to bring your own beach umbrellas and beach chairs. But don’t just enjoy the crystal clear water from the hot sands of the beach. 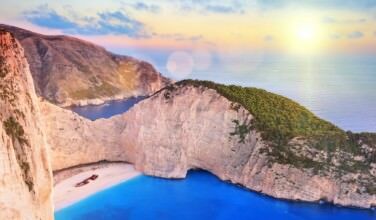 Get your guests together and go on a day tour with Captain Panos Sailing Day Tours. On this day your, you will be taken out in the water to see just how beautiful the scenery is around the island, you can jump off the boat and swim in the bluest water you’ve ever seen, weave in and out of caves, and maybe — if you’re lucky — you’ll even get to see some dolphins swim alongside your boat!